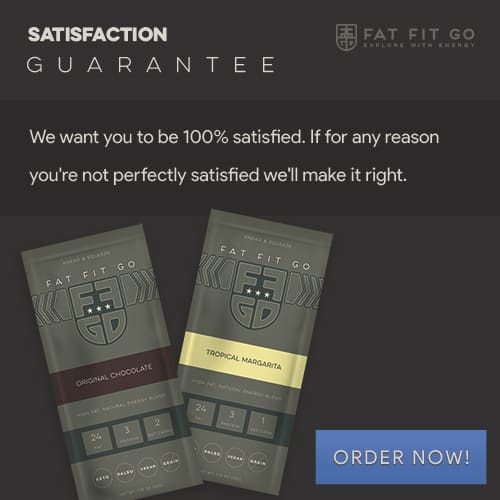 What is a Fat Fit Go Premium Energy Blend? Keto and Low Carb Energy! 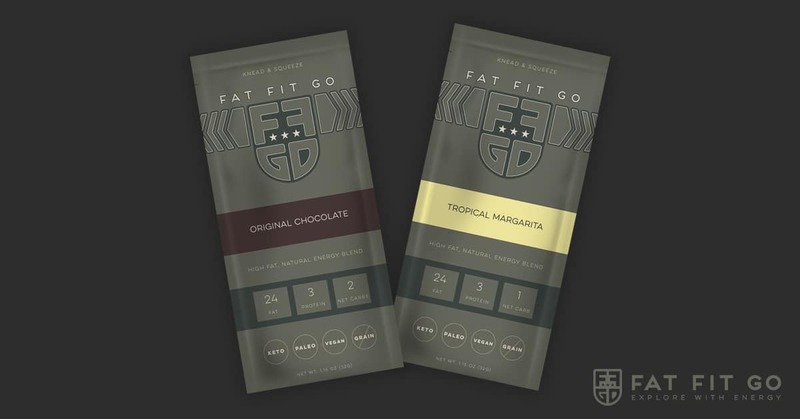 What is a Fat Fit Go Premium Energy Blend? 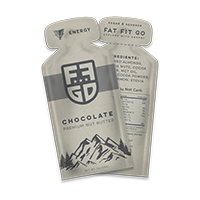 Fat Fit Go is a high fat energy blend packaged in 1.15 ounce, durable and travel-ready packets. 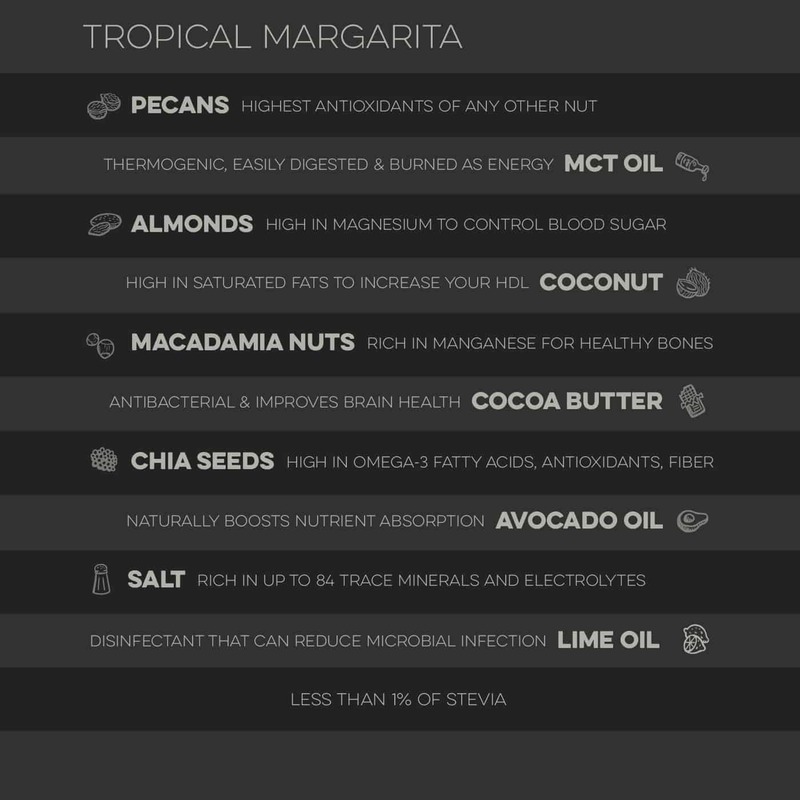 Each serving includes 24 grams of high quality, blended fats including MCT and other nutrient dense super foods ( listed below ). The consistency is thinner than a nut butter with the right amount of natural crunch. Both flavors provide a mildly sweet and fulfilling taste. Keto / Low Carb? Made with YOU in mind! While healthy fats and nutrient dense calories are good for everyone, this product was created especially for those of us on a high fat / low carb diet. It’s perfect for travel, and those long explorations in to the mountains. 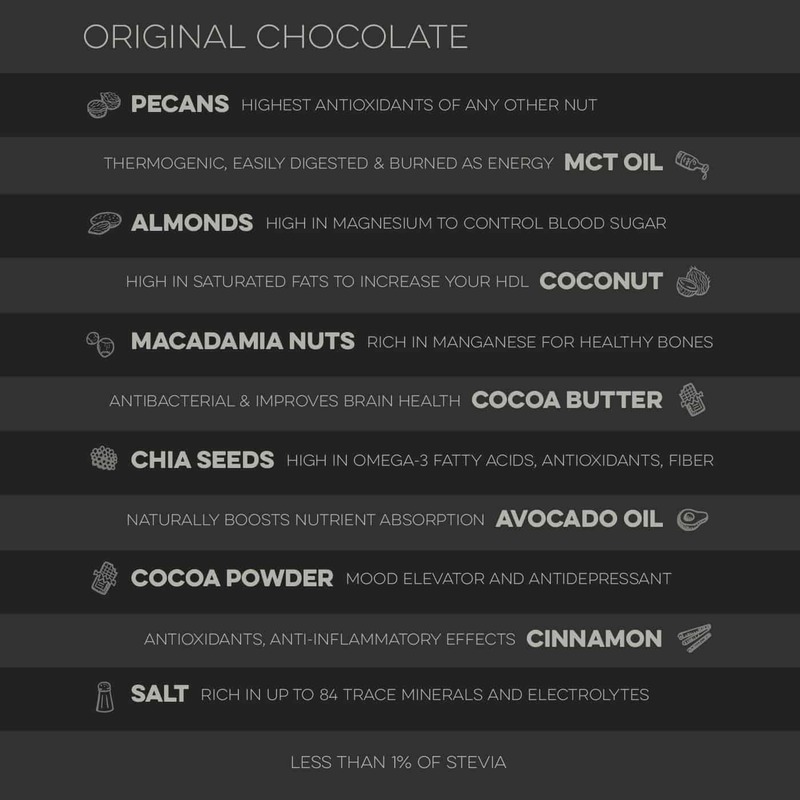 Stay satiated longer and get the right kind of energy for your body and brain. Why is consuming fat important? Fat contains 9 calories per gram compared to carbs and protein (both of which come in at 4 calories per gram) – Fat is an excellent energy source for your body! In addition to being a beneficial energy source, fat is also known to help “turn off” your brain’s hunger. Carbs cause energy crashes when blood sugar gets too low and they spike “fat-storing” insulin when consumed in excess. 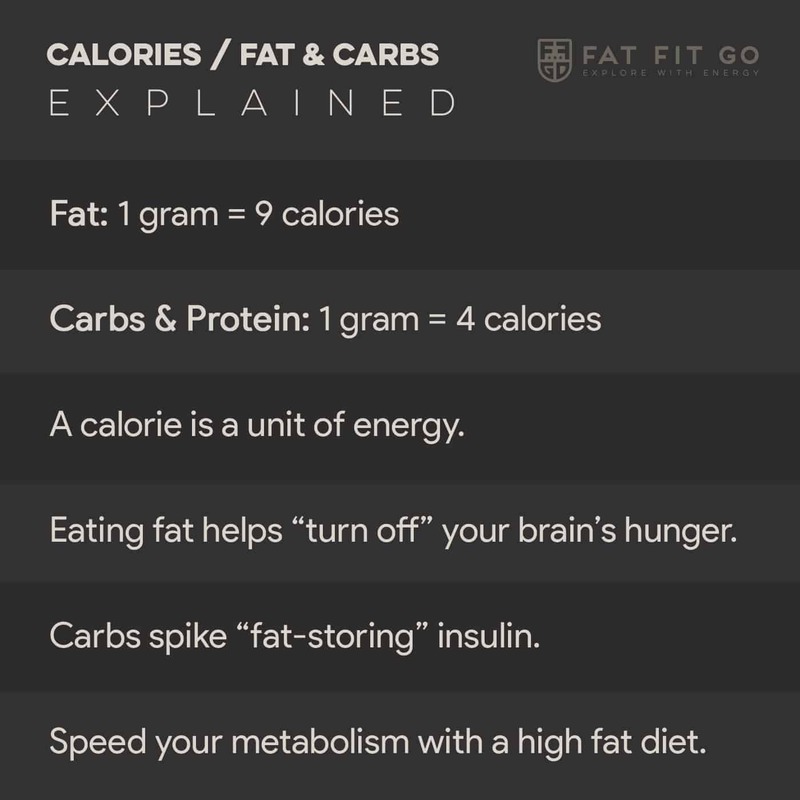 What is Fat Fit Go? Our ingredients – Like nothing else! We’ve gone to great lengths to ensure the right nutrients, macros (fat / protein / carbs), and taste! We’ve ensured a perfect, complex blend of natural, plant derived real foods in every serving. Our product is made for those of us who want a convenient source of quick, healthy fats without added sugars (like we find in most nut butters). And with the addition of MCT (medium chain triglycerides) you also get the added benefit of fats that more quickly metabolize giving you short and long term, natural, plant based energy. 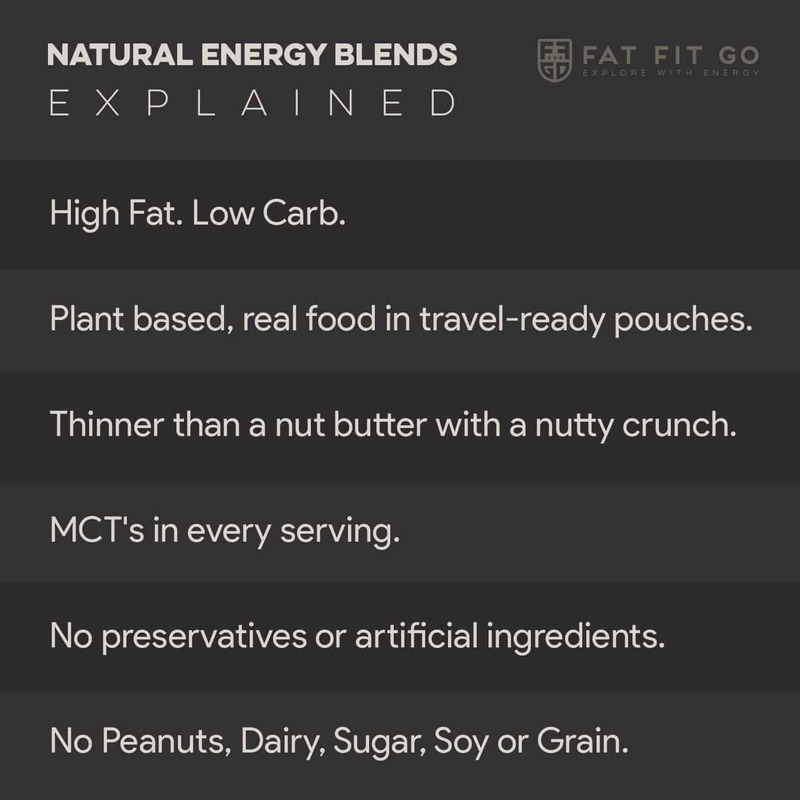 Having a packet of Fat Fit Go in your pocket is more convenient than carrying around a pocket full of Pecans, MCT Oil, Almonds, Coconut, Macadamia Nuts, and Chia Seeds.